Home Reviews Samsung Galaxy s5 rumored specs, expected release date, price and leaked images. Samsung Galaxy s5 rumored specs, expected release date, price and leaked images. Months before official release of Samsung Galaxy s5. There is huge craze in tech lovers about phone. According to tech pundits phone will define a new class. Such expectations are obvious from leading mobile makers in the world. 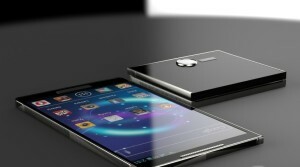 Definitely phone will be much better, faster and bigger than Samsung’s all previous versions. Nothing is sure about the full phone specifications; price or release date but still we can assume much about the device. It this article get a glimpse of Samsung galaxy s5 specs, expected price, release date and some recent leaked images. Rumored specs of Samsung Galaxy s5. PROCESSOR: rumors are that Samsung Galaxy s5 will have a 64 bit processor. Company is going for 64 bit processors to compete with apple’s I phone 5s. Company officials have confirmed that Samsung is working on arm cores and will produce their own in coming times. A 64 bit processor will definitely boost up the processing power. RAM: Samsung Galaxy s5 will have a 3 GB DDR3 RAM. Main point in 3 GB RAM is their DDR3 version. These RAM are ultra slim, low powered and provide more speed. DDR3 RAM consumes less power and provides efficient use of battery. If this is true Samsung galaxy s5 will be the first device having DDR3 RAM. CAMERA: we are talking about Samsung Galaxy s5. So it’s obvious that camera will be upgraded with tons of other features. Rumors said that Samsung galaxy s5 will have a 16mp camera. After getting criticism for poor images of Samsung galaxy s4 in low light. Samsung will use ISOCELL technology for s5 camera. This feature will help to capture excellent low light photography and more color production. Front camera will be upgrade to 3mp. Both cameras capable of taking full HD videos and images. BODY DESIGN: after continuing the same body design trend. Samsung is criticized always. So, company is going for new body design. Cheap plastic material used in their flagship devices is also criticized. But this time Samsung Galaxy s5 will clean sweep all those criticism. Full aluminum body with more rigged and trendy body design is expected from Samsung Galaxy s5. Samsung is also working on lightweight carbon fiber body. But chances are low that Samsung galaxy S5 will have a carbon body. SCREEN: expected screen size of device is 5 to 5.2 inches. Bigger than this size will be trouble for handling. Screen will be brighter than HD Super AMOLED (present in Samsung galaxy s4). With 2180* 1920 resolution and 556 ppi screen will be best among all devices. Galaxy s5 will be water and dustproof. So you can enjoy your calls while bathing (just joking). EYE SCANNER: There are rumors that Samsung Galaxy s5 will have an eye scanning sensor for greater security of device. Samsung is going for such technology to beat I phone 5s which has finger print recognition capability. Of course phone will be operating on latest android version Kit-Kat. If above rumored specs are upcoming full phone specifications of Samsung galaxy s5 then we can say that device will be a great success in the mobile market. As far body is concerned there are some leaked images from sources showing that an aluminium frame image is leaked. 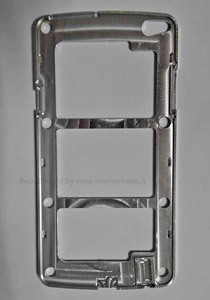 Which could be the body material for Samsung Galaxy s5. After going through this we can conclude that this time there are some changes in samsung’s next flagship device. like 3.5 mm jack is at the bottom ( like in i phone’s) and camera is at the corner. Well, nothing is sure about that but still chances are very high. Samsung Galaxy S5 expected release date: after drop in sales of galaxy s4 company is planning to release Samsung galaxy s5 in first quarter of 2014. Probably in January or February. Samsung galaxy s5 expected price: No official announcement about price is done. But we expect phone to cost similar to cost about 1000$. Previous articleDownload line full version free for pc (windows 7/8/xp).